with your Nachman's Department Store site. Joanne! How nice to hear from you! It sounds invaluable! Thanks for letting us know! And I'm delighted that such a story was written. 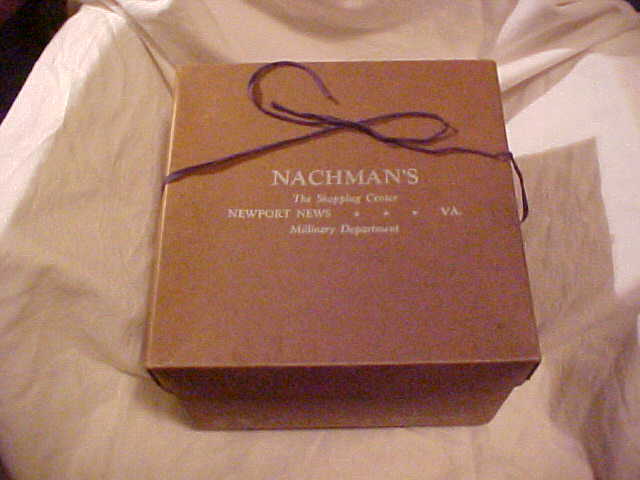 One simply cannot think of Newport News without thinking of Nachman's! The department store president was lenient with credit, active in groups and might have found today's retailers lacking a personal touch. 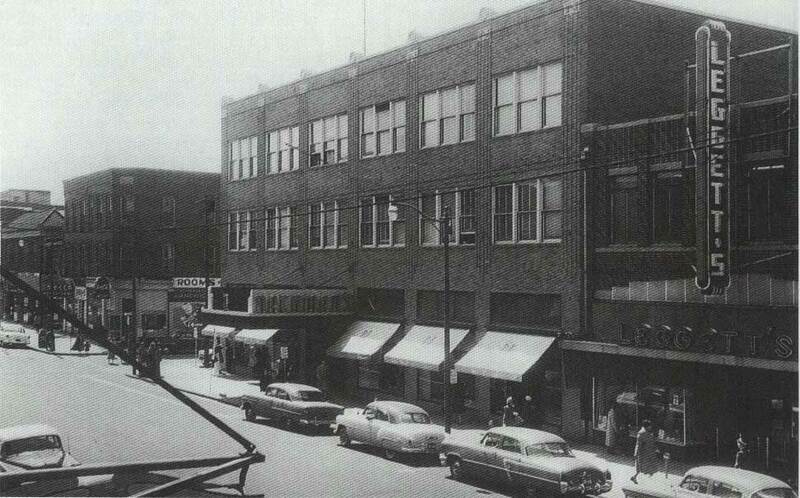 NEWPORT NEWS -- Before Patrick Henry Mall or City Center at Oyster Point, shoppers flocked to Nachman's Department Store. Everybody seemed to buy from the downtown store in its heyday. 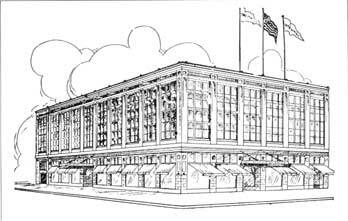 It was Virginia's third-largest department store in the 1930s, and no store in the state surpassed it in merchandise sold per cubic foot. Few traces of the place remain today. The Nachman name is still visible throughout Hampton Roads because of Nachman Realty, but that business isn't headed by descendants of the store's founder. Rather, it's run by descendants of one of his brothers. Nonetheless, Nachman's Department Store is remembered for drawing shoppers to Newport News, its personal touch and its leaders. 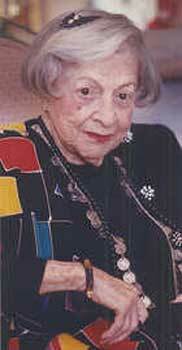 They included the civic-minded Rena Nachman Kates, who was the store's president for about 15 years. Kates - born in 1898 in a flat above the store when it was on 18th Street - was involved in the business from childhood through 1970, when a chain absorbed it. She began serving as president in 1954. Female executives were rare at that time, but it's unlikely that Kates considered herself a pioneer, said JoAnne Roos, one of Kates' twin daughters. "I don't think she ever really thought about it, because her mother before her worked right alongside my grandfather," said Roos, a York County resident. Kates' mother, Ida, was the store's second president after the death of her husband, Sol Nachman. He opened the family's first store in 1894 and tried a few downtown locations before settling on the corner of Washington Avenue and 32nd Street. But Sol Nachman died two years before a new three-story 60,000-square foot building that he designed opened at that site in 1931. 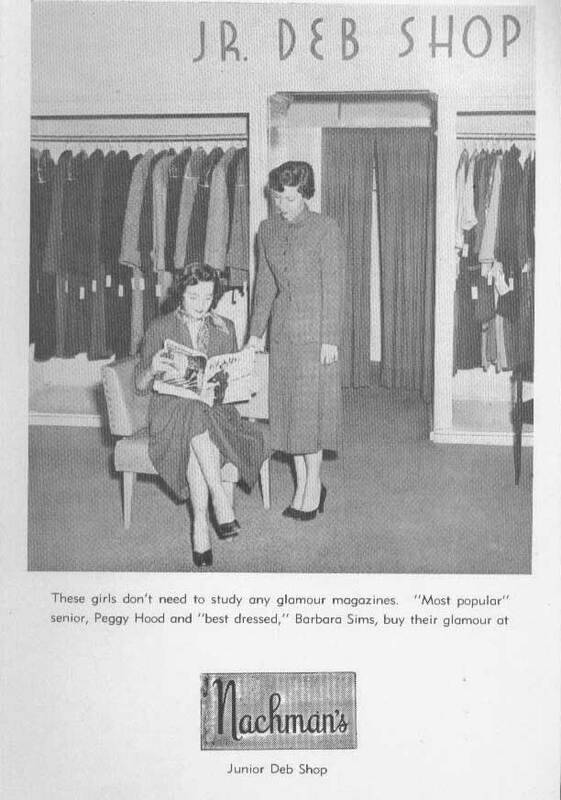 The new building's first floor had cosmetics, men's clothing and a lunch counter, while other floors carried women's and children's clothing, books and home furnishings. It was the Peninsula's premier department store. Movie star Ava Gardner, who once lived in Newport News, bought her wardrobe there in the 1940s before screen tests in New York. "You're nobody unless you owe Nachman's." That was the kicker to a story that Kates enjoyed telling in 1989, three years before her death. A woman tells her friend that she's just paid off her Nachman's bill, and the friend exclaims, "You'd better go down and buy something else." 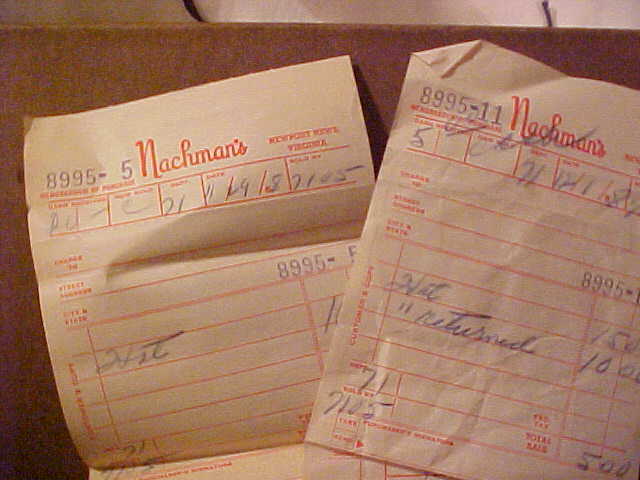 When customers owed money, Nachman's was often lenient. Roos said Kates even helped some customers who were hard up, continuing a tradition started by Sol Nachman. 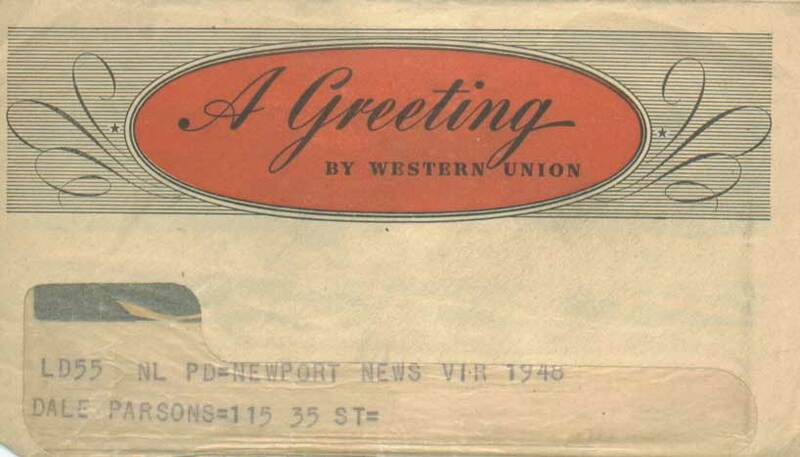 Also during Kates' tenure, Nachman's was ahead of other stores in opening its lunch counter to blacks, according to the book "Newport News: A Centennial History." Kates was active in Temple Sinai, a number of local civic organizations and efforts to help Jewish refugees after World War II. The local groups included the still-running Peninsula Camp Fund Committee, which she co-founded to send children in need to camp. 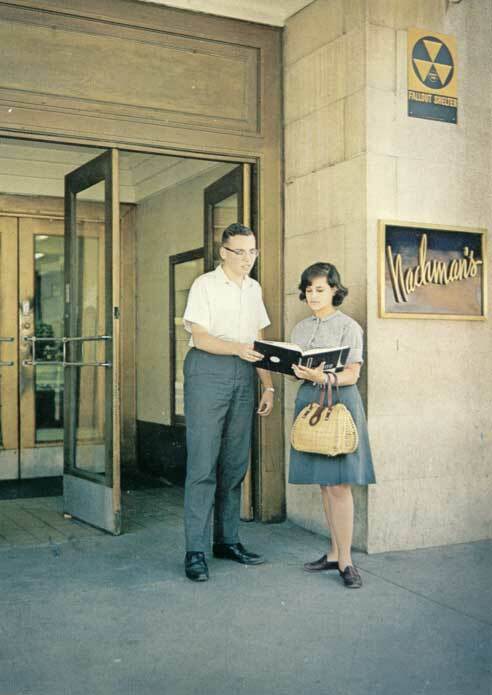 Nachman's was bought by Philips-Van Heusen Corp. in 1970 and made part of the Rices-Nachmans chain. It was later absorbed into the Hess's chain. 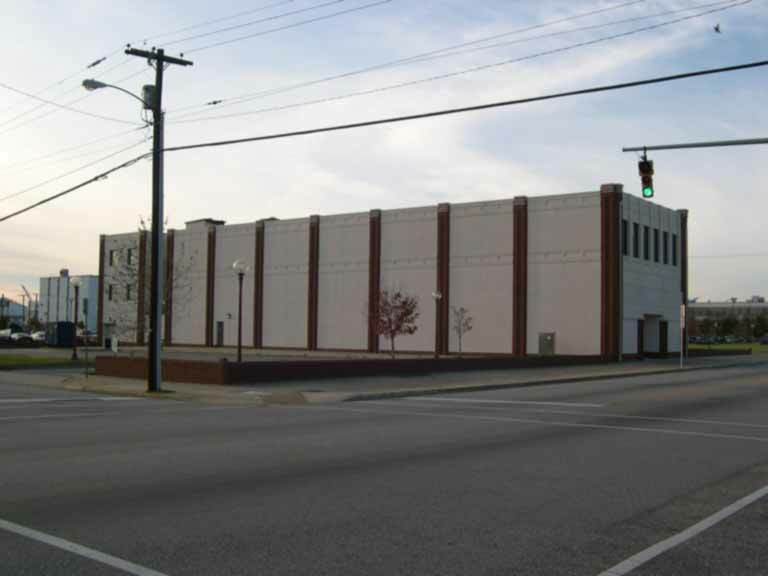 In the mid-1980s, the Nachman's building on Washington Avenue was torn down. A branch store that Kates opened in Warwick Shopping Center on Warwick Boulevard is also no more. Sue Anne Bangel - Kates' other daughter and a Lancaster County resident - said the local retail scene in 2006 probably would upset her mother and grandparents. The personal touch toward customers and employees, she said, is often lacking today. Nachman's was indeed a special store. Newport News: A Centennial History, John V. Quarstein and Parke Rouse, Jr., City of Newport News, 1996.
elsewhere in the store. I remember going upstairs to the portrait studio for my junior and senior pictures. I remember looking at the beautiful clothes and dreaming. of Tom ('63) and Gene ('64) worked in the silver department. She was always so cheerful, and I remember her sweet face. were the side by side water fountains - not for adults and children as is commonplace today, but for white and 'colored'. I remember as a child being offended by this needless and insulting duplication, and the injustice of it all. Nachman's remains one of my favorite places. I miss it. in school. Mrs. Flick worked in cosmetics. Her daughter was in a class a year or so after '63 - Helene Flick. Helene's mother was one of the Stuart Gardens neighbors to whom I referred. And Helene was in the Class of '64, it's true. my feet are still on the end of my legs and getting me around town... amazing all the things we did as kids and survived...no consumer protection laws, haha! because by gum, after paying for four years of tuition we were going to have some decent photos! could not do without and wondering what my mother would say because it was so expensive...it cost $18. What a hoot! gloves of course for Easter I think. Now people wear jeans and t-shirts to church! years later, but I still wear nylons and 3-1/2" heels to church myself! Nachman's Department Store was the official vendor for the Boys Scouts of America back in the forties and fifties. the badges earned by hard working scouts. 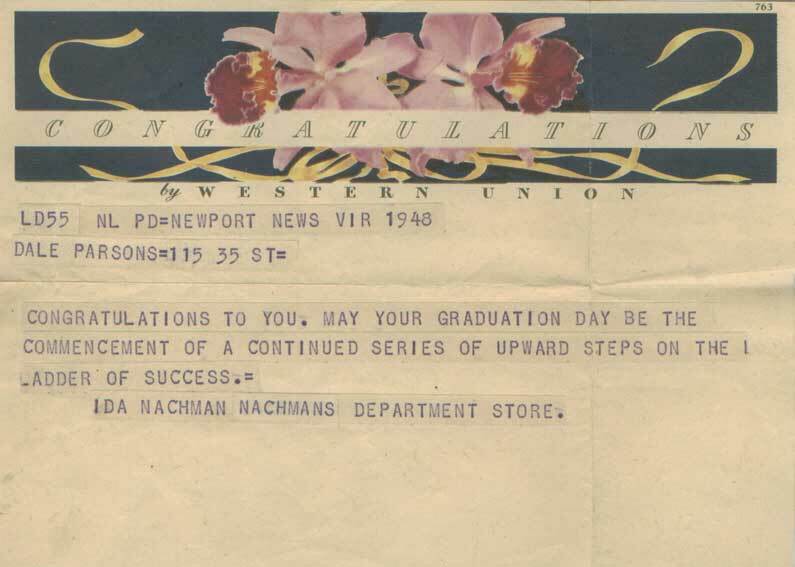 They were a well managed store, and many of students in my class had parents who were employed at Nachman's. Thanks, Joe! I had forgotten that part! Thought you might like the tune of the old Nachman's commercial. I don't know where you find these treasures, but I'm beginning to believe you have magical properties! Thanks so much! This is a jewel! content. I am one of the granddaughters of Ida Nachman. I have tried to get your web site up but have not been successful. I'll keep trying. We have an annual Christmas luncheon of former employees and I'd to show them what you have on your site. The luncheon is on Thursday, December 16. Let me know. WOWZERS! How nice to hear from you, Joanne! What an exciting concept! Have a great time! At 8 AM I, too, cannot open the site. Looks like a server problem, again. What a serendipitous e-mail from Joanne. those once she can show them what is on the site. I hope so! Thanks, Dave! have things they would like to share. Thanks, Harron! Wouldn't that be wonderful? I got it! It is just wonderful and I thank you and Harron for revealing this wonderful extension of the Nachman story. Thursday on the 16th. Happy Holidays. same things she did and remembered that experience fondly. Thanks for your Old Stomping Grounds contributions. Thank you, Joanne! This is very exciting! Have a delightful party, and give everyone our best! needed doubles of everything. So she initiated a program at Nachman's Department Store called Twin Insurance. your purchases! I'm sure it didn't happen so often that it hurt the store financially. comment: 'I wish I had shopped at Nachman's'! have been the fabric department, because I have a strong visual memory of being fascinated by those counter-edge mounted fabric length measuring devices, even as a 6 and 7 year old ... (engineers are born, not made). Her name was Mary Alice Ring Price, but she most likely went by the nickname "Berta". Perhaps one of that group will remember her. "copy boy" in the advertising department, and the department manager was a man named Andrew J. Bachman. HARRIET ('60) ALSO ATTENDED NNHS IN THE 50'S. WERE NO LONGER ABLE TO HOLD THEIR OWN AGAINST THE BIG CHAINS. THIS WAS THE TREND NATIONWIDE. AND BASEMENTS OF THAT SIZE WERE UNHEARD OF UNTIL NACHMAN'S DID IT. I WORKED IN THE MEN'S DEPARTMENT DURING CHRISTMAS FOR A FEW YEARS. IT WAS MY VERY FIRST JOB. I SOLD WHITE SHIRTS BY ARROW FOR $3.50! THEY CAME WITH 6 OR 7 DIFFERENT COLLAR STYLES AT THAT TIME. I WAS HAPPY TO LEARN OF THE ANNUAL LUNCHEON FOR THE EX EMPLOYEES GIVEN BY JOANNE. TO THEIR BEST ABILITY. SOMEBODY MENTIONED MRS. FLICK IN COSMETICS---SHE WAS A TERRIFIC SALESLADY. I KNEW HER QUITE WELL, AND HER HUSBAND, WALTER, AND THEIR DAUGHTER (HELENE - '64) AS WELL. OF THE COLORFUL DAYS OF FAMILY-OWNED DEPARTMENT STORES! CONGRATULATIONS ON YOUR LINK TO THE PAST! WOWZERS! Thank you, Dr, Oppenheimer - and Joe! Opal Rich's sisters - "Mary" was the switchboard operator - I sat with her many hours when I was a little girl. gave me my first start on this volunteer position. What a beautiful, heart-warming story! Thanks so much for sharing this treasured memory with us, Joanne! You should know that under Nachman's basement flowed a river on its way to join the James. There was a large sump pump which worked automatically most of the time. It was kept in reasonably good repair by "Pop" our very competent maintenance supervisor except when he forgot his chewing gum or duct tape. When that happened the basement flooded and that was an exciting event. Anybody besides me remember that? Thanks, Bill - and Harron and Joanne! locate water to drill their wells. Most, as was ours, were used for gardens. Our well's water was ice cold but tasted of iron. I share his ability but to a much lesser degree. When my branch will twist to the water, the force dramatically changed when he would put his hands on mine, the branch would literally tear the skin from one's hands to turn. Interesting. lovely white bathing suit there in '65 and almost won a contest as a model for Nachman's after being selected as a finalist for my writing. A lovely cheerleader won. That is where I picked my first perfume scent...a serious matter for a young lady. I often went with my mom for treats in the tea room, also. All in all, many happy memories related to Nachman's. Gene - I remember working in Nachman's also. Do you remember the "pneumatic" tube system they had? One more bit of trivia - does anyone remember the x-ray devices used in shoe stores to ensure a proper fit? feet were straight or cramped, etc. Who knew that x-rays were not a particularly good idea! Another fantastic newsletter... You have outdone yourself lady! I can close my eyes and walk into Nachman's just like it was still there...Men's department on the right, women's millinery on the left, cosmetics, tea room in the back. And those plastic bra models with the bras on them! What teenager ever thought she would have anything like that to put into a bra!!! Those brownies must have been my inspiration because I have been told I make a mean brownie! The founders of Nachman's would indeed be disappointed in today's clothing stores where you are likely to be waited on by teenagers who have no idea about the product they are selling...or worse even...you walk all over the dept. store and cannot find a clerk or a customer service station that is open! You may as well avoid the hassle and shop online...I have to say that Kanter's in Hampton was one of my favorite stores as well...the ladies who worked there would always point out that they had new things in the store and would even tell you what they had that would look especially nice on you. I feel that customer service is a thing of the past...I wish the banks, phone companies, and other business would spend less on advertising and more on hiring human beings (in this country) to answer their phones and conduct business...well so much for my rant! I mostly shopped at Leggett's, but I think I made a few purchases at Nachman's. I certainly remember and was fascinated by the tubes for sending payments upstairs to the office. I don't remember eating there. I am not sure, but I might have bought my wedding gown at Nachman's (in 1962). I remember being at a store having a bridal show, and the gown was being modeled. I really liked the gown and the price. I cannot imagine any other store being large enough to have a show, except Leggett's, which probably did not do that type of thing. My mom had a credit card at Nachman's and I used to love when she would get her monthly bills, and there would be perfumed sample cards in the bills. I remember specifically dragging mom to Nachman's one Friday night. I wanted to get a new pocketbook, and I ended up buying a brownish all leather bucket bag -- I loved it. I loved Nachman's and La Vogue (when I got older). I never liked Leggett's, but sometimes had to shop there. I might not have had a ton of clothes in high school, but I had some nice things, and I knew how to sew skirts.